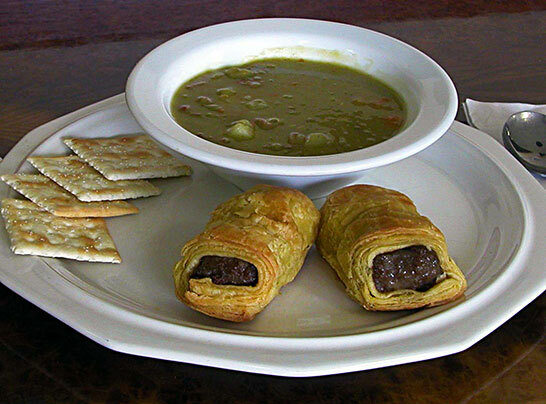 Dine In: Delicious Treats at the Hungry Dutchman. "Definitely try the cafe as they have authentic food which is surprisingly affordable for an attraction. The Banket (almond roll) is made by a lady who works there and is so good." Our Hungry Dutchman Cafe' is open when the theme park is open, from mid - April to late October..
Are you hungry for a light meal or a snack? 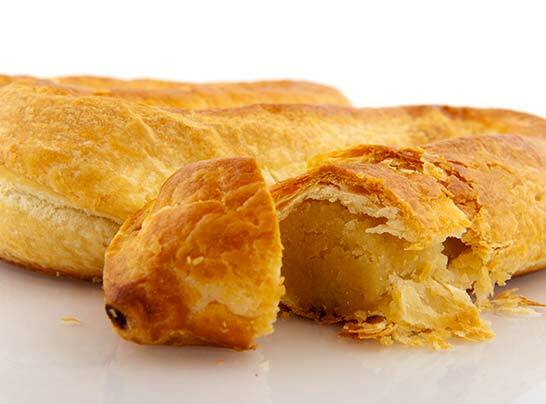 Our menu choices include Dutch food specialties such as Metworst, Erwtensoup, Saucijzenbroodjes and the delicious dessert pastry - Banket. 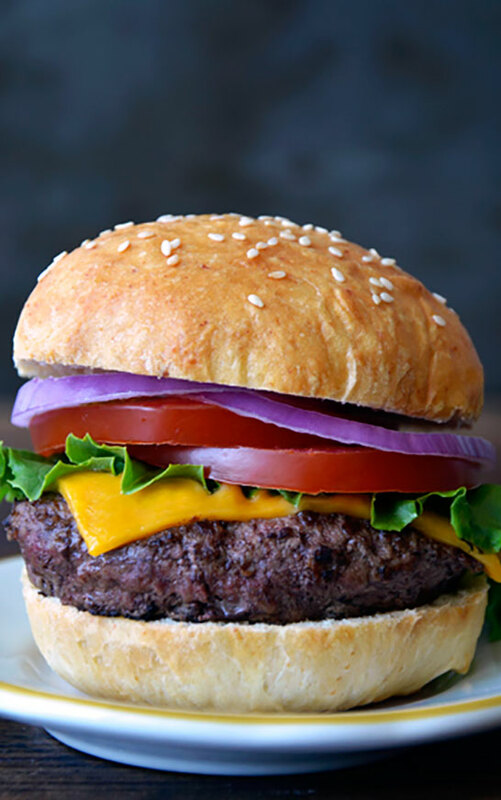 American specialties include hamburgers, hotdogs and brats, and more. Vegetarian selections are available. Come dine inside our cozy cafe or enjoy the sun on our cafe's waterside deck. 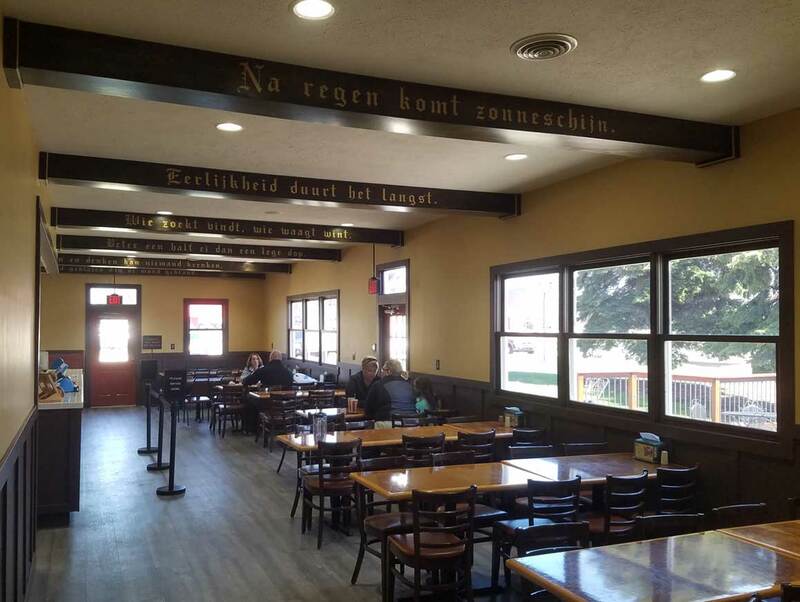 We recently remodeled the Hungry Dutchman Cafe to give you a better experience. We added a coffee bar for your favorite coffee drinks. Eet Smakelijk "Eat Heartily and Enjoy"
At the Hungry Dutchman, you can enjoy authentic Dutch dishes and many American favorites. Banket - For dessert, our homemade traditional Dutch almond pastry "Banket"
At the thirsty you can sample some of the region's best beers, wines, and ciders. We now feature many local beers and ciders on tap or in bottles. 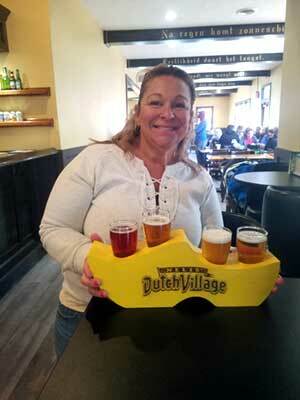 Our sampler Klompen (wooden shoe) will give you four samples of your choice. Or try some of our Dutch Village wine, bottled locally from the finest grapes and fruit of southern Michigan. The Thirsty Dutchman Pub is open whenever the park is open. The Thirsty Dutchman is also available for your intimate, private rental. 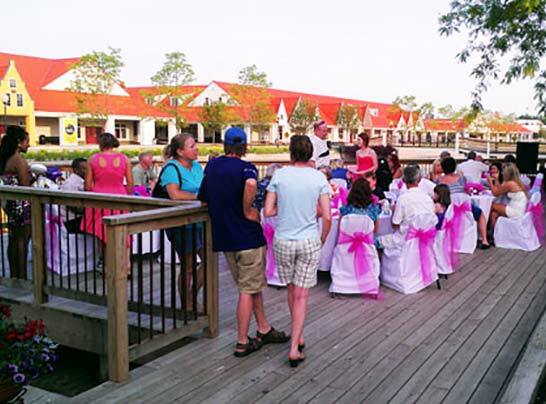 The space offers indoor or outdoor seating for your family or company event. We can provide food or you can bring in your personal caterer. Beer and wine service is included. Find out more on our Group Information page. Is Nelis' Dutch Village handicap accessible? Yes, we are handicapped accessible. There are no stairs throughout the attraction and bathrooms are easily accessible. The park has many benches and tables to rest during your stay. Where is parking for Dutch Village? Parking is free and located adjacent to the park and entrance. Can I rent wheelchairs? strollers? Yes, there are strollers and adult chairs available to rent for a small fee at the park entrance. They are available on a first-come, first-served basis and are non-motorized.